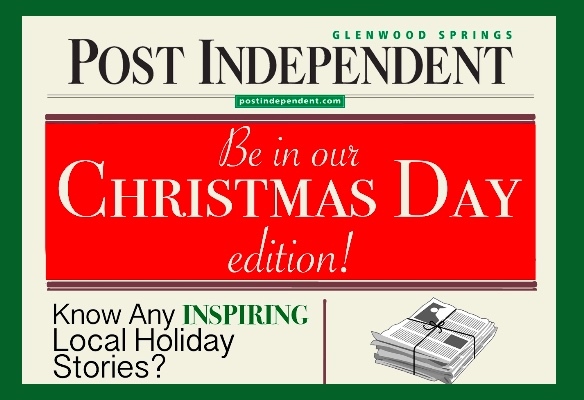 The Glenwood Springs Post Independent is looking for stories from area readers about any Christmas holiday traditions that you’re willing to share. These stories will be included as part of a story to run in the Christmas day, Dec. 25, edition of the paper and online. We’re looking for stories about any past or present traditions that your family shares here in Garfield County, along with any photos you would like to provide. Even if you know of any inspiring local holiday stories that might not be your own, please share with us any names and contacts. Photo submissions should be high resolution (200 dpi or at least 1-megabyte files).